Question 5: The Bible says, “Let every soul be subject to the higher powers. For there is no power but of God: the powers that be are ordained of God. Whoever therefore resists the power, resists the ordinance of God: and they that resist shall receive to themselves damnation” (Rom 13:1-2). Having believed in the Lord for many years, you should understand the meaning of this statement. The Bible was inspired by God after all. I believe that we believers of the Lord should obey those in office and power. I don’t know how you receive it. It doesn’t work in China if you defy the authorities. The Communist Party is a revolutionary party. If you disobey, it will revoke your life. To believe in the Lord in China, one must accept the Communist Party’s United Front and join the Three-Self Church. There is no other way out! You see, there are many believers of the Lord in the Three-Self Church who are loving and pious also. Can you say that they do not truly believe in the Lord? Those of you who believe in Almighty God insist on spreading the gospel and witnessing for God regardless of how the Communist Party persecutes and arrests you. Even when you are kept in prison, you still stand up to witness for the Lord and refuse to be Judas. Honestly speaking, this is what I admire about you. Conversely, talking about what we seek in our belief in the Lord, isn’t it all about our desire for a harmonious family and a peaceful life? Look at how prudent we people of the Three-Self Church are. We are a patriotic and church-loving organization that glorifies God and benefits the people. We neither offend the ruling authorities nor betray the Bible. We can openly worship the Lord in church without having to hide in fear. Isn’t this the best of both worlds? Answer: It seems that you have a unique interpretation of Paul’s word, which is different from what we receive. Ever since I believed in the Lord, I have experienced the Chinese Communist government’s coercion and persecution, I have been unable to understand Paul’s words “Let every soul be subject to the higher powers.” I feel Paul’s words cannot represent what the Lord Jesus meant because the Lord Jesus had never said anything about “be subject to the higher powers.” Nor did the Holy Spirit. I feel that believing in the Lord should mean obeying the Lord’s word. The word of man should not be treated as the truth and as the word of God. It was after years of praying and seeking, I finally see that the CCP is an evil group that resists God. If one obeys the CCP, he is betraying God. We all know that the CCP is an atheist party that has been openly denying and resisting God since its rise to power. It designates Christianity and Catholicism as cults, the Bible as a cultist book of which countless copies have been confiscated and burnt, and even wantonly arrests and persecutes Christians. Countless Christians were beaten to cripples or death, and countless families were shattered. The CCP even pursues overseas, using economic incentives, political pressure and other means to extradite Christians who have fled to various countries. The CCP's iniquitous resistance to God and victimization of Christians are so numerous that it is outrageous! Tell me, can God allow His chosen people to obey such a perverse and sacrilegious evil regime of Satan that is blatantly against God? If we obey the CCP, aren’t we standing on the side of Satan? Since the CCP insanely resists, imprecates and profanes God, and tries to stop us from believing in God, it is the enemy of God. If we obey the CCP, aren't we resisting and betraying God? Many Christians of past generations were persecuted and martyred for following and witnessing the Lord. Did they obey those in office and in power? Could their martyrdom have been self-invoked punishment for resisting the ruling power? Would Paul have dared to condemn the martyrs of the Lord? I think Paul would not. Then what was the basis of Paul’s word? Could it be that Paul did not discern that most of those in power and office were demons who resisted God? That’s why I have doubts about Paul's word. 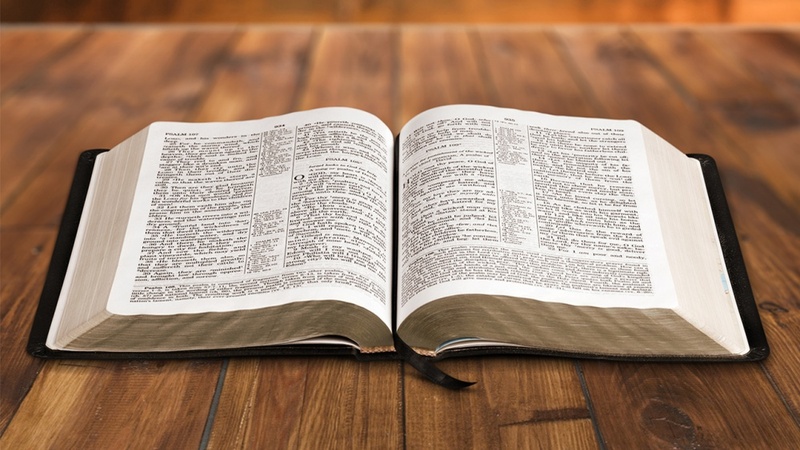 I even question Paul’s word that “All scripture is given by inspiration of God” because neither the Lord Jesus nor the Holy Spirit had so witnessed about the Bible. It makes me suspect that many of Paul's words originated from man’s intention. Hence I would not accept them as the truth. When I believe in God, I only obey the word of God and choose the way I should follow according to His word. As for the words of man, including those of the apostles, I would only use them as reference, even if they were written in the Bible. I would accept and obey them only if they are consistent with God’s word and the truth. Otherwise, I would not accept them. This is my point of view. It is quite dangerous and difficult indeed for us to believe in the Lord in China. However, if we went by Paul's word to obey the satanic CCP regime and take the Three-Self Patriotic path, would we receive the praises of the Lord despite our physical safety? Would it guarantee us to be brought into kingdom of heaven when the Lord returns? I don’t think it’s possible. The Lord Jesus said, “Enter you in at the strait gate: for wide is the gate, and broad is the way, that leads to destruction, and many there be which go in thereat: Because strait is the gate, and narrow is the way, which leads to life, and few there be that find it” (Mat 7:13-14). “You shall indeed drink of the cup that I drink of; and with the baptism that I am baptized with shall you be baptized” (Mak 10:39). “And he that takes not his cross, and follows after me, is not worthy of me. He that finds his life shall lose it: and he that loses his life for my sake shall find it” (Mat 10:38-39). The words of the Lord clearly tell us that we should enter at the strait gate and narrow way that lead to eternal life. The Lord also said, “And he that takes not his cross, and follows after me, is not worthy of me” (Mat 10:38). If we go by Paul’s word and obey the ruling authorities, is that entering at the strait gate and taking the narrow way? Is that bearing the cross in following the Lord? When believing in the Lord, if we all obey those in power and office under the reign of the CCP, the devil Satan, aren't we becoming people who resist and betray God? Then who will be left to spread the gospel, witness for the Lord and follow the will of God? Can we receive the praises of the Lord, reach good destination and outcome, by believing in the Lord like this? The Three-Self Church is a vase of religious belief fabricated by the Chinese Communist Party that is completely controlled by the Chinese Communist government. It doesn’t speak about the pure truth in the Bible, doesn't speak about loving and obeying God. It only speaks about patriotic love organization, enriching one’s family and making a fortune, glorifying God and benefiting the people. This is enough to prove that the Three-Self Church is actually a false church that has been reduced to an accomplice of the CCP that suppresses underground house churches and dedicated to monitoring house church activities. They even join hands with the Chinese Communist government to arrest and persecute the brothers and sisters who spread the gospel to witness for God. Isn't this Satan’s instrument of politico-religious alliance? Pastor Feng, I would like to ask: When people of the Three-Self Church obey the Chinese Communist government, are they actually obeying God or Satan? Will God commend the captives and puppets that capitulate to Satan? Can God admit into the heavenly kingdom those recreants who drag out an ignoble existence under Satan’s domain? Now the Lord Jesus has returned. 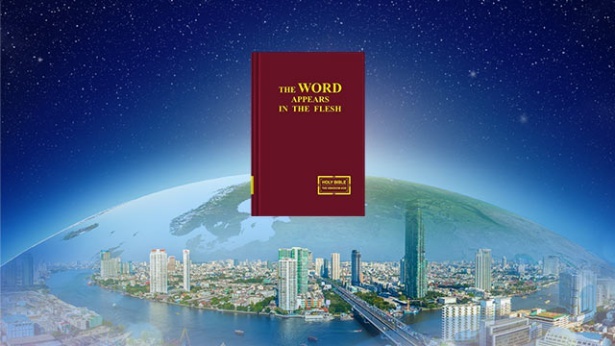 He is the incarnate Almighty God who expresses the truth to perform judgment work in the last days for the cleansing, salvation and perfection of man in order to bring man into God’s kingdom. 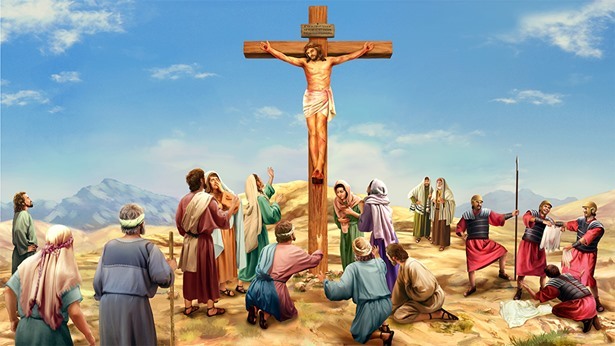 Amidst God’s appearance and work of the last days, all believers are faced with a major test in which they will be revealed by their own class, just as the Lord Jesus had prophesied: “But as the days of Noe were, so shall also the coming of the Son of man be. … Then shall two be in the field; the one shall be taken, and the other left. Two women shall be grinding at the mill; the one shall be taken, and the other left” (Mat 24:37, 40-41). Almighty God’s appearance and work have revealed all people by their types. The tares and wheat, the good servants and evil servants, those who love the truth and those who hate the truth, have all been revealed by God’s work in the last days. It is time now to determine the outcome and destination of man. If man drags out an ignoble existence in fear of the CCP satanic regime’s coercion and persecution without courage to accept Almighty God’s work in the last days, what will be the outcome? Can this kind of men receive the Lord’s praises? 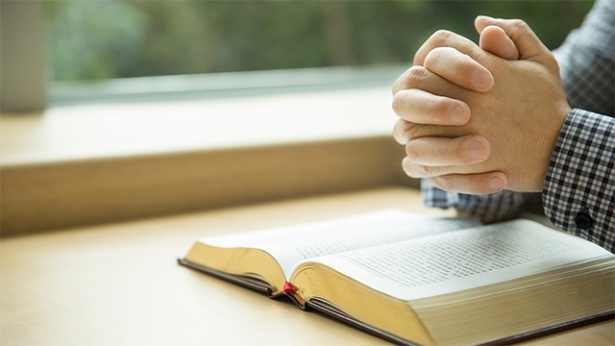 Previous：Question 4: Although the One you believe in is Almighty God, what you read is the word of Almighty God, and how you pray is in the name of Almighty God, according to what we know, your Church of Almighty God was founded by a man whom you obey in everything. According to your testimonies, this man is a priest, a person used by God in charge of all administrative matters. I am puzzled by it. Who was the one that founded The Church of Almighty God? How was it begotten? Can you clarify it? Next：Question 6: How do you explain the May 28 Zhaoyuan case of Shandong that has shocked the country and the world? This case was heard in open court after all! After the occurrence of the Zhaoyuan case of Shandong, the government has stepped up its crackdown on house churches, even using the armed police forces to crack down on The Church of Almighty God by conducting overwhelming carpet search-and-arrest of The Church of Almighty God members. Although people have raised numerous doubts about the Zhaoyuan case of Shandong, believing it was a false case fabricated by the CCP to generate public opinions to support its crackdown on The Church of Almighty God, the Chinese media have publicly reported the case regardless of whether the facts are true or false. This has generated some impacts in various countries in the world. No matter how you deny the Zhaoyuan case of Shandong, many people still believe the Communist Party. So I want to hear what you think of the Zhaoyuan case of Shandong.